All testimonials are 100% genuine and we can provide phone numbers on request so they can be verified. Just wanted to thank you both for our lovely quartz worktop and floor tiles. Our new kitchen looks amazing! You are a warm, friendly family business and upon visiting your showroom, you went the extra mile to explain everything and give us your expert advice. We have no hesitation in recommending you. Thank you again. Fantastic from start to finish. 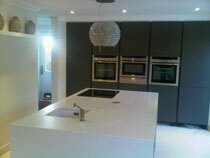 The granite is beautiful, the worktops have been fitted perfectly, and the whole process was easy and swift. Helpful communication, great price (I assumed it was all too good to be true but I am happy to say this wasn't the case!) and great quality. Just thought we would drop you a line to let you know how thrilled we are with the quartz worktops and the way you kept us informed of delivery etc and you did everything you said you would, we thank you very much. We will be in touch again in a year or so as we are after a stone dining table. I will also recommend you to my customers and friends. Thanks again. We just wanted to let you know how delighted we are with our new worktops. The quality and workmanship is excellent and they really make our kitchen and dining area look amazing. Your team were very friendly and professional from making the templates to fitting the worktops and I would have no hesitation recommending your company. We were pleased with the short turnaround time from order to completion. Thank you very much. 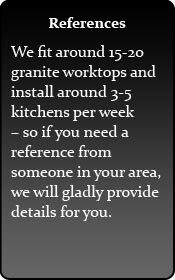 Just a quick email to say what a fantastic job your men made of putting in the granite work tops yesterday and to thank you for an excellent product. We will certainly recommend your company and thanks again. Totally magic service from start to finish - you made everything so easy, helping us by working on the Bank Holiday. We have worked with 3 of your staff personally and spoke to those doing the process. Everyone was really friendly and superhelpfull and we love the product. Thankyou very much. Very nice people - fitted the worktop and made an excellent job. Very pleased! We are very pleased with the worktops, they look great. I did ask about 8 companies to quote for our kitchen and its amazing how many don't even bother to respond! You were nearly a grand less than having our local kitchen supplier which is 6mm thick stuff they lay over the top and they would have taken 7 weeks to come around and fit. It's a bit scary ordering this sort of thing over the internet but glad we did as it's a really nice product and is fitted very well. Just wanted to send you a ‘Thank You’ for the worktop job done yesterday. It’s exactly as my partner Nicky expected it to look like and she is very pleased. Please pass this on to Dave who was fitting the worktop until 7:30pm with a minimum 2hr drive home. I just wanted to say thank you to you and the guys that fitted my Quartz Luminoso Cocoa worktop on Monday evening. I appreciate the fast turnaround after discovering a damaged piece and the late working of the fitters to accommodate my work schedule. The finished product looks fantastic. Thank you very much. Very pleased with the quality of the workmanship and the overall finish, thankyou. Dan & Rupert fitted the quartz worktop and they did an excellent job – very professional. First rate work, very good workforce. Dave worked in a very professional manner, really helpful. Work was finished to an excellent standard. Very nice job. Swift, no problems. Very happy - top job! Brilliant job would recommend to anyone. 5 stars. Balloo & his team: excellent work done & good attitude. Very polite, helpful & hardworking. I would recommend a small reward for his team! Great service and a fantastic finish by the fitters! Just wanted to say that the granite tops look lovely. Paul was most helpful and he and his lads did a great job. There were really polite and nice to have around and they left everything tidy! What more could I ask for. Pleased with service and with competent friendly fitters, job well done. Very professional, fantastic job, will recommend to anyone that asks about surfaces. Very good service, very professional, will recommend to others. My wife and I are knocked out by the worktops. They look stunning - better than either of us imagined. It's been a pleasure doing business with you. Very pleased with the service and the install was perfect. Thankyou for the very quick service. Good workers - very clean, tidy and polite. We are very happy overall and will recommend to others. The template was made and the fitting was quick and efficient, very pleased with the service. Good efficient job, excellent finish. Very efficient, polite and workmanlike. 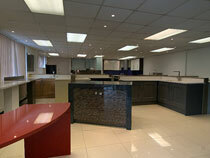 The office personnel were always polite and accommodating, the tops look fabulous. Good job, on time, great! Very professional & friendly service, thankyou. Very pleased with the work and the workers, lovely job. Very good, very pleased! Very happy with worktops and men - very nice and quiet. All work done professionally, very happy. Excellent service and finished product, courteous, clean, and polite fitters. I would be happy to do business with them again. Beautiful attention to detail, care taken and very happy responding to all small requests. Thank you so much for doing such a good job. Fabulous service, thank you. 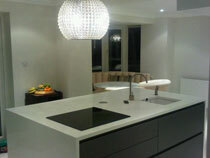 The worktop was templated and fitted within one week - exceptionally quickly. Balloo and Daniel have fitted the worktop beautifully and it looks great, very pleased , thank you. Absolutely fabulous job, excellent workmanship. Very friendly & helpful fitters, good service. 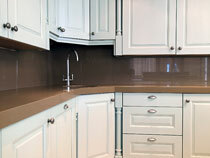 I am delighted with the material and the quality of the workmanship which has given the kitchen a very luxurious look. Balloo and his team are great to work with! Very happy with the service and fitting – Balloo was an excellent fitter. Very happy with work done, very happy indeed. Speedy & very well done. Very pleased with your excellent service, thank you. Very diligent and good quality of fitting work. Quite happy with the service, will definitely recommend further. Very pleased with workforce & material. An excellent job, thank you so much. Excellent service, very good workmanship, very pleased. Excellent job by excellent workman. Couldn’t be more pleased. Very friendly job done by friendly team. Bogdan has done a very nice job, thank you - we are very pleased! Extremely happy with service and fitting, would highly recommend. Very friendly & efficient service. Thank you, your representatives are courteous, helpful and a credit to your company. Very friendly fitters and a great job, thank-you. Excellent inter personal skills, very patient. Wonderful job, very helpful people and very resourceful. Great service, fast and efficient installation and very clean and tidy. We are very impressed with the fitters who were very competent, efficient and pleasant. We will definitely use you again. Many thanks. Fantastic job, looks amazing – great fitters. Very good job, thank-you very much. A very good service thanks. Fantastic service, fitters were excellent. Excellent service – everyone very friendly and helpful. Installers excellent. Excellent we are ecstatic, over the moon, wonderful job! Very good work- well done. Workmanship excellent, very professional. Clean and tidy and very precise, lovely chaps. 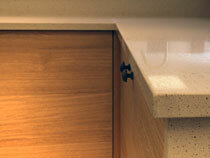 Lovely worktops, as good as we thought they would be. A very professional service – would recommend Luna Stone. Very good fitter. The work surface installed before Christmas is fantastic and we were very impressed with the standard and speed of service we received from you. Special thanks must go to your installation team who braved the icy roads and the snow. Looks absolutely lovely –very straight forward. Many, many thanks! Very quick & efficient service, we got our worktops before Christmas. We were very pleased. Everything looks good , clean and tidy. Very happy with the work done and the advice given. Great job, really helpful guys – very, very pleased. We have been so impressed with the speed and excellent customer service we have received. 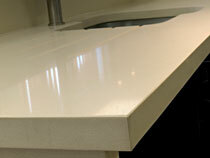 It is a beautiful worktop and we would highly recommend Luna Stone. Fantastic, thank-you. The worktop looks absolutely beautiful – the fitters were very professional, clean and tidy and worked to a very high quality. We are delighted with the result. We are so pleased with our worktops! Thank you to all concerned. Very impressed with the professional way all was measured and fitted. 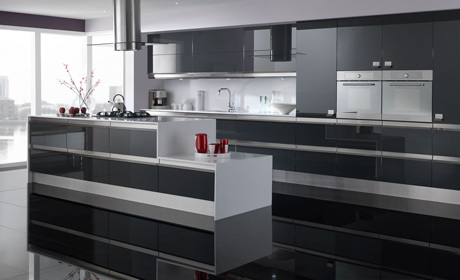 As you may or not be aware, we do all building works including fitting kitchens. We will definitely recommend your company in the future! All our dealings on the internet and phone have been very good, helpful and reliable. 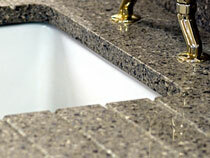 Our granite worktops look fantastic. The guys who carried out the work were most pleasant and extremely efficient and hard working. We would have no hesitation in recommending your company to friends. Just to say that we are really pleased with the end result. 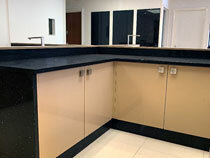 The worktops look great and installation was very efficient. Service throughout has been great. We will not hesitate to recommend should anyone be needing similar. 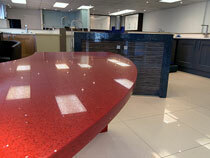 Worktop looks great we are very happy – excellent job guys! Worktops look amazing absolutely brilliant job! The workers were very polite, informative, very clean working and practical. Excellent workmanship – marvelous!